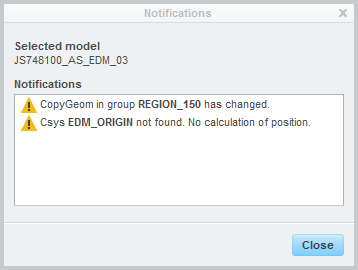 Added new command ‘Rename’ to context menu in modeltree. 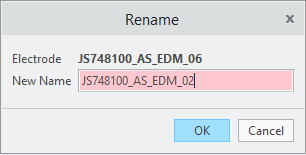 Rename takes care of models, drawings, layers and simpreps. Note: manufacturing, workpiece and manufacturing drawing won’t be renamed. 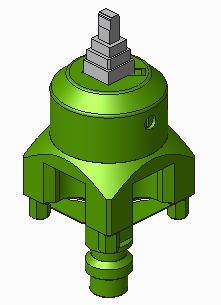 Added new feature type “SE_HOLDER_MODEL” which can be used in color format file to control color of holder models. 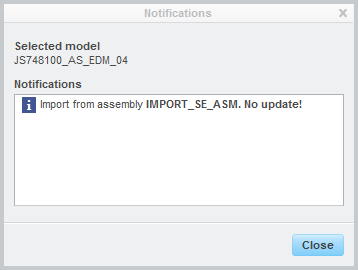 If electrodes are copied from another assembly, copy-geoms and cutout features will be set to NO UPDATE to avoid unintended regeneration. 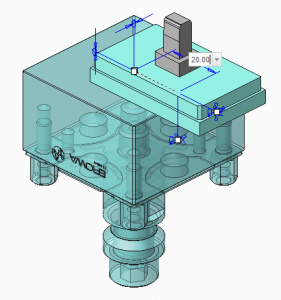 Note: this functionality is available since Creo 3. 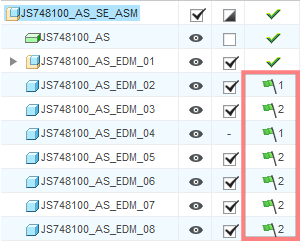 Table cell format from templates asm_bom.tbl, asm_wp.tbl and asm_edm.tbl will be maintained during update of drawing tables. This applies to text font, thickness and justification. Text height will be set to default text height. Assign core material to reference part if selected merge, inheritance or copy-geom. See here for a list of all changes.